Peter Hans, president of the North Carolina Community College System, and other state leaders visited Edgecombe Community College recently and met with Dr. Greg McLeod, president of the College. Hans became president of the community college system in May 2018, and his visit to ECC was part of an effort to tour all 58 community colleges statewide. 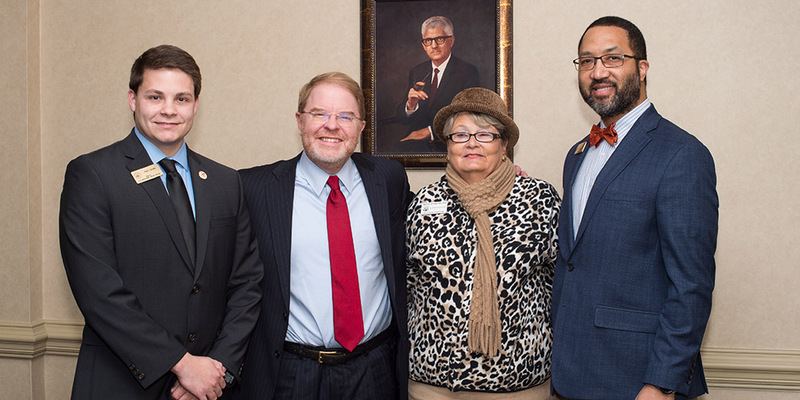 Shown from left are Trey Lewis of Senator Thom Tillis’ office and an ECC graduate; Peter Hans; Betty Jo Shepheard of Senator Richard Burr’s office and an ECC trustee; and Dr. Greg McLeod.